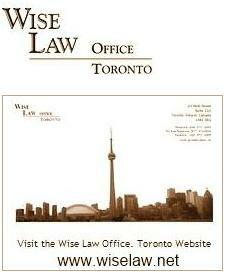 Wise Law Blog: Canadian Lawyer Magazine: "Brief Intro to Lawyers on Twitter"
Canadian Lawyer Magazine: "Brief Intro to Lawyers on Twitter"
Toronto lawyer Garry J. 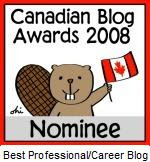 Wise, in particular, has turned his Twitter feed (@wiselaw) into a must-read for Canadian lawyers, especially those practising family law. As I write this, he has posted 20 tweets — on everything from disciplinary proceedings before the Law Society of Upper Canada, to a constitutional challenge to warnings on cigarette packages, to news about a major discovery on Mars. If only he’d use his Twitter account to tell us how he manages to go without sleep. Like many Twitter users, Wise uses his feed as an extension of his blog (which actually features a daily recap of his tweets). 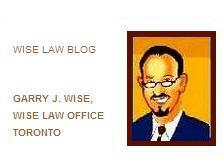 Thanks very much to Canadian Lawyer for the mention.